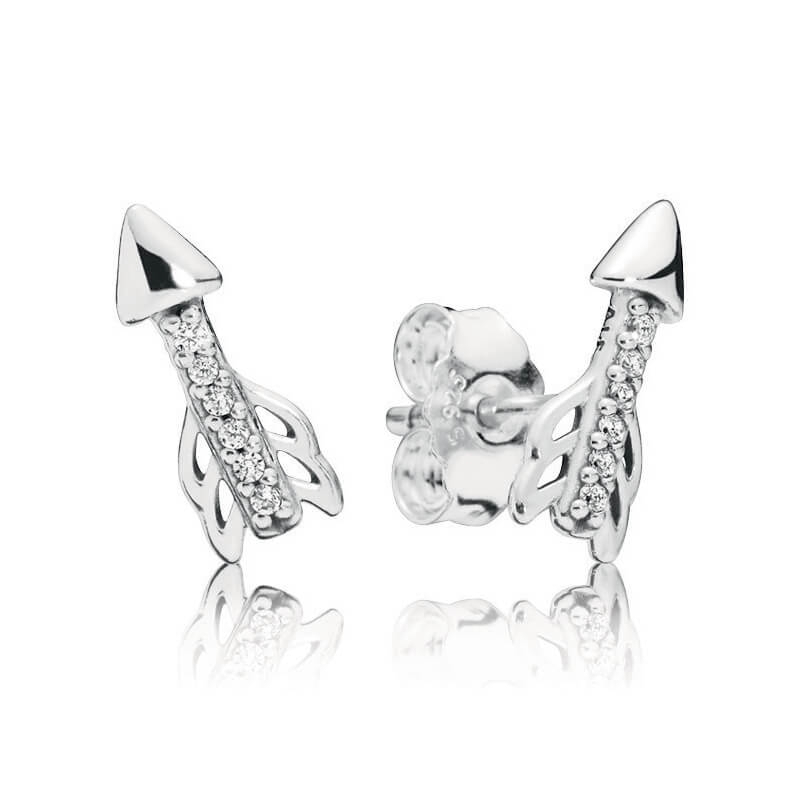 PANDORA Sparkling Arrows Stud Earrings. With their petite and pretty design, these sterling silver arrow studs are the perfect accessory to add a touch of whimsy and playfulness to any outfit or occasion. Made from sterling silver and embellished with an array of glittering stones.